We all tend to pay much attention to acquiring stuff – physical things – in order to be more prepared, but we often fail to prepare ourselves more, physically and mentally. 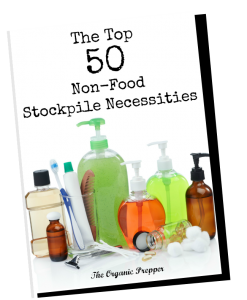 You need to be preparing for the things that are most likely in your regular, everyday life. Then expect that you’ll be under immense pressure. Everything is different when you’re under pressure but you can prepare yourself for this too. There are many ways how we can prepare ourselves more, simple and fun things like hiking or camping are great to test some of your skills and gear too. A popular myth is that we have to be physically prepared only through more “macho” activities like martial arts or shooting at the range and similar. It is person-to-person based and sometimes we are limited by our own living conditions to practice some of the above activities. If you are living a day to day life in a big city with your family and kids, working a regular job, you find yourself very easily in a situation where all your prepping activities are based on watching YouTube videos or similar maybe, and finding a way to implement that into your own settings. You have to prep based on your everyday life and situations. 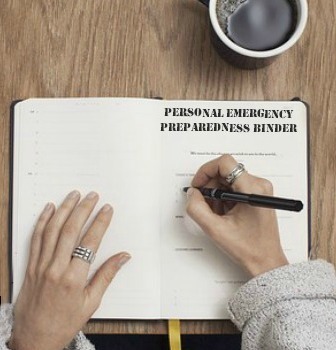 Actually, you need to prep based on your own situation, and if that means day to day job, big city, kids, public transport… you need to implement all those factors in your prep plan. We have people living in cities that form their survival philosophy based on the idea that they gonna be surviving in wilderness, or people preparing for end of the world because they think asteroid will impact while they do not see that they are living actually next to the part of city where organized crime rules. If organized crime is very powerful now, they should conclude that it is going to be much stronger once when the SHTF. We should all prep for the time where there are not enough resources for you and all the people around you. Because when that happens, violence will come. Of course, you need to know how to start fire or set up a shelter in woods simply because you may find yourself in the woods and wilderness because you ran away from the city when SHTF. But it makes sense to pay more attention to your immediate surroundings. It does not have to be all physical training either. Start it on an intellectual level. Use one week of your ordinary life as the beginning of your setup. How much food or weapon or ammo should you have with you? What is an alternate way of communication with kids? Do you have pre-arranged meeting points with the kids if something bad happens? Have you built a cache somewhere? The examples of possible complications are numerous and my point here is not to go and talk about all possible complications. I want you to take one ordinary day of your everyday life and imagine something bad happening in the middle of it. Then start a mental exercise of solving that situation. An important thing here to mention is that please do not let this make you become paranoid, No matter how well you plan, you can not cover all possibilities and complications. Also, your plan cannot be too complicated, otherwise you’ll fail for sure. Think about the basics: safety and security, being together with your family when something bad happens, and getting to a safe location. Stop planning for far-fetched scenarios when you haven’t covered the likely ones. The main point of this is: there is no sense in learning high end skills if you do not have a setup to deal with an immediate SHTF that happened during an ordinary day. SHTF situation often comes without warning and instructions. I am a big fan of training under the pressure, and that does not necessarily means that you have to deal only with a heavy backpack. Now pressure and comfort zones are very important in order to understand how good or how bad your plan is. In one of my last articles I used a perfect example, and we saw again in the comments how easily people (preppers in this case) are getting “kicked” out of their comfort zones. For some of them the shock was so bad that they actually do not want to “play” anymore. They won’t read the words of a person who has been through difficult times because some of the words are uncomfortable. The major thing about a SHTF situation is that you will be under pressure and out of your comfort zone during a lot of the time. You need to get familiar with it. Panic, confusion, misinformation, fear, and insecurity are all things that WILL happen to you, no matter what you think about it today. Now without going into the psychology of how those things work, you need to recognize how you operate under those feelings and conditions, so that you may correct yourself today before the SHTF. Here’s an example of the effects of pressure. During my last live course, for one of the exercises, after a nice and calm discussion,the students were instructed to leave the house in a hurry and enter the vehicle with all of their gear. There were five of them and they had not used that car before. The car is OK for 4 persons, but definitely not for 5 of them with all their gear. They managed to fit somehow. Then, during the driving, the instructor told them to – in 10-15 seconds – reach into their equipment and find important items like knives (weapons), maps (navigation), bandages (first aid) and similar. The car was driven by the instructor fast and rough, on narrow roads with pretty heavy traffic. The heavy metal music inside the car was blasting very loud. Most of them failed to find the requested items. Some of them put important items deep inside their bags (bad organisation of equipment – remember layers?). Others could not concentrate because of the unsafe driving (fear) or because of the very loud music (distraction). Some of them just feel very uncomfortable trying to perform the task. These are examples only again, but it is a great idea to see how you and your equipment work under under pressure, when you’re distracted, and how well your equipment is organized. And it would be even better to check all that in your immediate surroundings – where you live and work. Not somewhere far away in that cabin in the woods at your bug out location where all is peaceful. Because remember you need to reach it first. The drill may look very different for you. I am not advocating that you sit in a car and drive fast and yell at your family in order to see how they react. Start slowly and see how you and your family or group perform under small amounts of pressure and just outside of your comfort zones. For you it may be practicing and testing your equipment and skills while you are without electrical power for 24 hours, or without running water or similar. Start slowly and with the basic things in your everyday life before moving on to more elaborate scenarios.